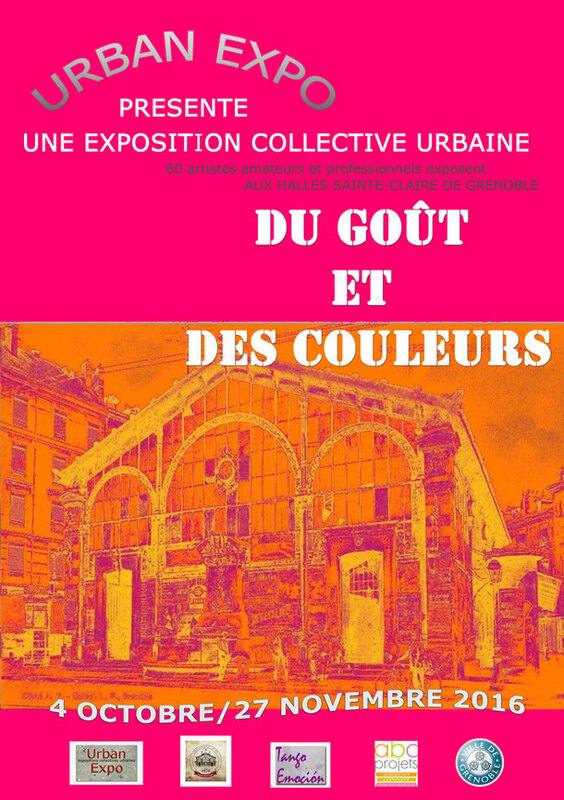 "Du goût et des couleurs"
Urban Expo organise une Exposition Collective Urbaine, dans les Halles Sainte Claire, le marché couvert situé place Sainte Claire, dans le centre ville de Grenoble. « Du goût et des couleurs ». aux heures d'ouverture du marché. Les œuvres de format 80 x80cm sont suspendues perpendiculairement aux travées à environ 2.30m au dessus du sol pour le bas du tableau. Urban expo s’occupe du système d’accrochage.Les œuvres sont numérotées pour établir une liste des artistes pour le public. Des animations se feront durant l’exposition, du type déambulation de public accompagnées d’artistes. Having read this I believed it was rather informative. I appreciate you spending some time and energy to put this informative article together. I once again find myself personally spending a significant amount of time both reading and leaving comments. But so what, it was still worth it! Hi there, yeah this paragraph is truly nice and I have learned lot of things from it about blogging. thanks. After looking at a handful of the blog posts on your website, I seriously appreciate your way of writing a blog. I saved as a favorite it to my bookmark site list and will be checking back soon. Please check out my website as well and let me know how you feel. Wow, fantastic blog layout! How long have you ever been blogging for? you made blogging glance easy. The overall look of your web site is excellent, as well as the content! It's very easy to find out any matter on web as compared to textbooks, as I found this paragraph at this website. We're a bunch of volunteers and opening a brand new scheme in our community. Your site provided us with valuable info to work on. You have done a formidable activity and our entire group will be thankful to you. If you desire to take a good deal from this article then you have to apply these methods to your won webpage. Heya i'm for the first time here. I found this board and I find It truly helpful & it helped me out a lot. I'm hoping to present one thing back and aid others like you helped me. Do you mind if I quote a few of your articles as long as I provide credit and sources back to your weblog? My blog site is in the exact same niche as yours and my users would genuinely benefit from some of the information you present here. Please let me know if this alright with you. Many thanks! Hi, i think that i saw you visited my weblog thus i came to �return the favor�.I'm trying to find things to improve my web site!I suppose its ok to use a few of your ideas!! Hey there I am so grateful I found your site, I really found you by error, while I was searching on Aol for something else, Anyways I am here now and would just like to say kudos for a marvelous post and a all round thrilling blog (I also love the theme/design), I don�t have time to go through it all at the moment but I have book-marked it and also included your RSS feeds, so when I have time I will be back to read a great deal more, Please do keep up the excellent jo. What's up, after reading this awesome piece of writing i am too delighted to share my know-how here with friends.